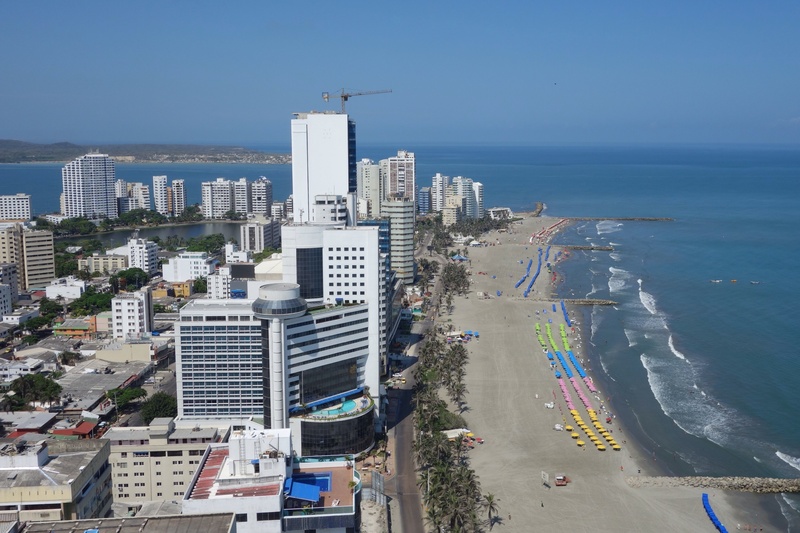 The Atlantic coast — Santa Marta and Cartagena — to the border of Ecuador – Where in the World are Cindy and Bill? We landed in Santa Marta on the Atlantic coast on May 3rd, exactly one year from the day we’d landed in Cairo at the start of our journey. 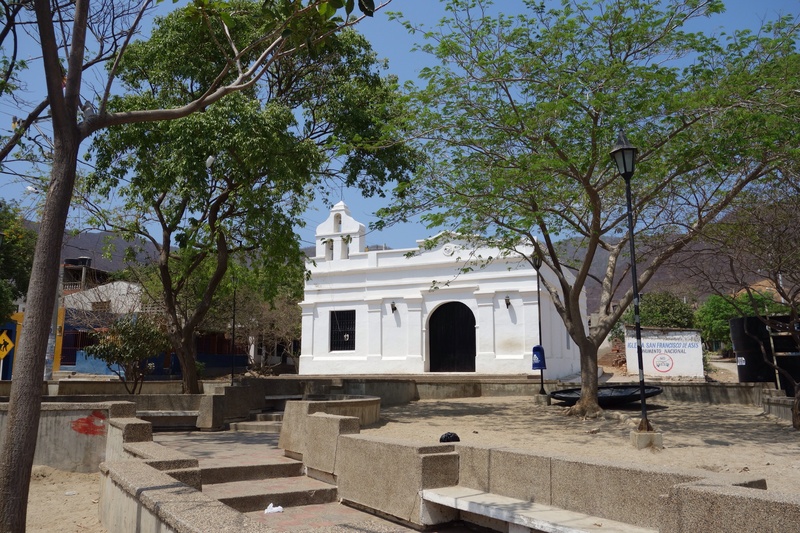 Santa Marta was the first Spanish settlement in the Americas and dates back to 1525. The dominant cultural influence is ‘Caribbean’ since the people who live there are the descendants of the mixture of indigenous people, European colonials, and slaves. It was clear from listening to the taxi driver on the ride from the airport that people speak differently here. It reminded me of the Spanish I heard growing up in NY by the many Puerto Rican residents. The speech is fast and furious and I’m told that it’s not enunciated as well as in many other Spanish-speaking regions–Caribbean-flavored, as it were. For example, they may say “bu” leaving off the “s” when saying “bus”. The accent is different, too. Just as I was getting used to pronouncing my “ll’s” as a “j” sound, I had to re-adjust pronouncing them as a “y” again! Folks from Medellin told me they have difficulty understanding the people on the coast. Still, I’m sure glad I took those several weeks of Spanish classes as they’ve come in quite useful. 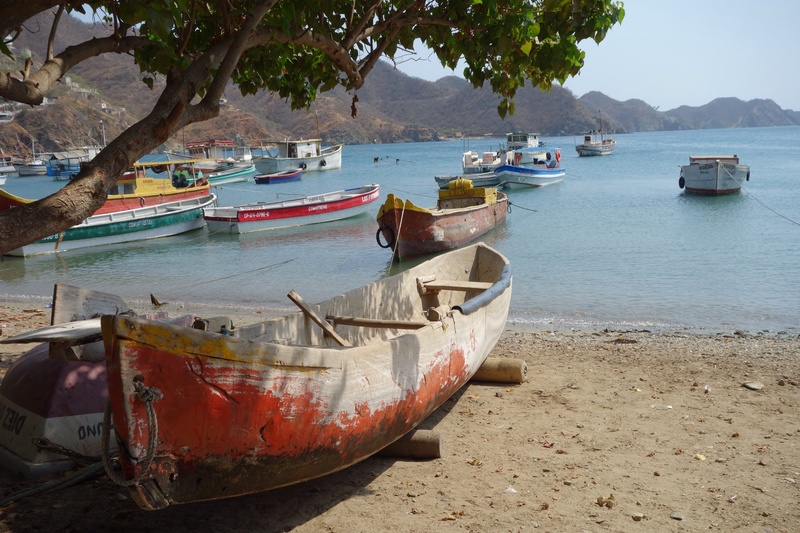 I went to neighboring Taganga to check out the town, the beach and opportunities to do scuba diving. An old fishing village turned backpacker town, the main street runs along a beautiful beach which stretches a few hundred yards. 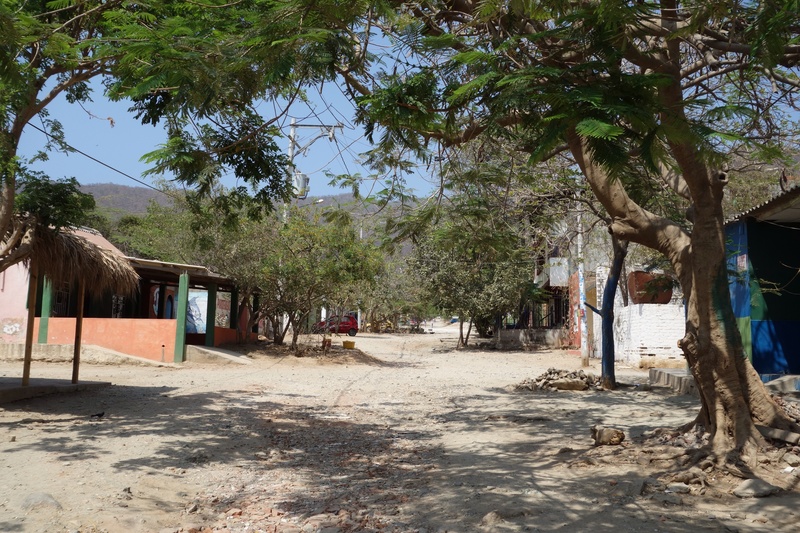 Except for the main street, Taganga appears quite run down. Some of the narrow and ruddy unpaved side streets made me think of scenes from spaghetti westerns. The lonely looking little church in the old town square clinched it for me. 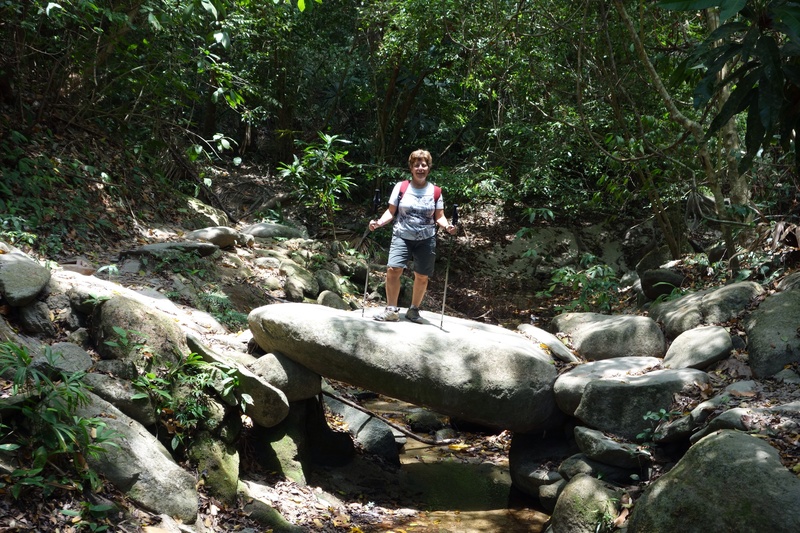 We did a very strenuous hike through the hot steamy jungle of the Sierra Nevada mountains in Tayrona National Park. All of my clothes were quickly soaked in sweat. As planned, we stopped at pre-Hispanic ruins called “Pueblito”. 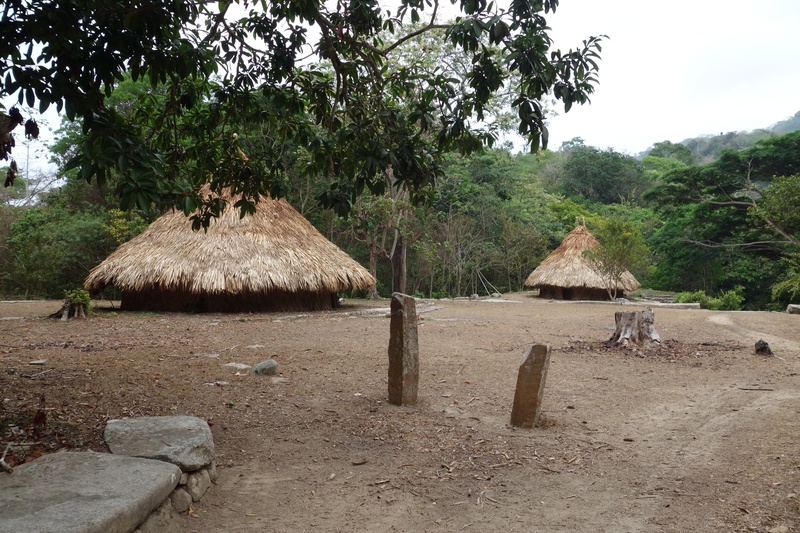 At one time, this area had supported a community of about 1400 inhabitants. Pueblito is a smaller version of another part of the park called The Lost City which involves a 4-5 day round-trip jungle trek. It took a bit over 2 hours to get to Pueblito. The round huts were constructed on large circular stone terraces built into the hillsides and the city is connected by paths of large sandstone boulders. 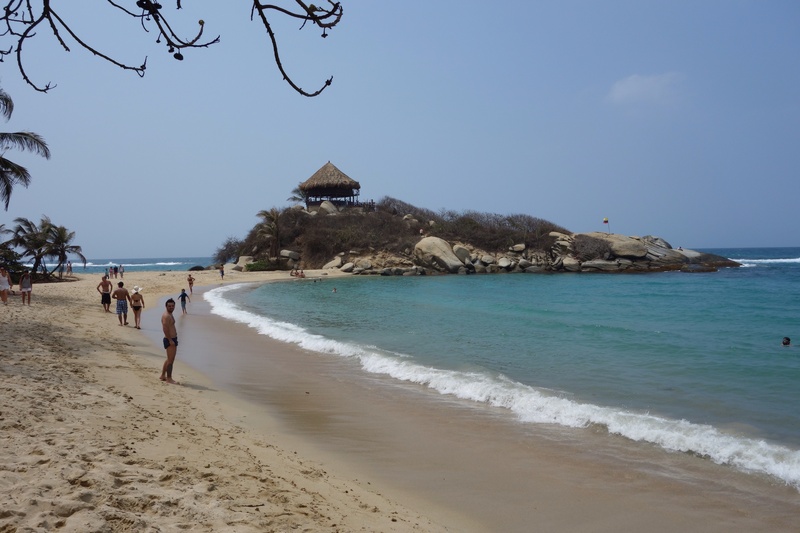 The trail from Pueblito to the sea is paved by boulders and surrounded by massive ones. Descending to the sea was not easy as we had to slide, hop or jump from boulder to boulder. The numerous beaches that sat at the base of the Sierra Nevada were stunningly beautiful. 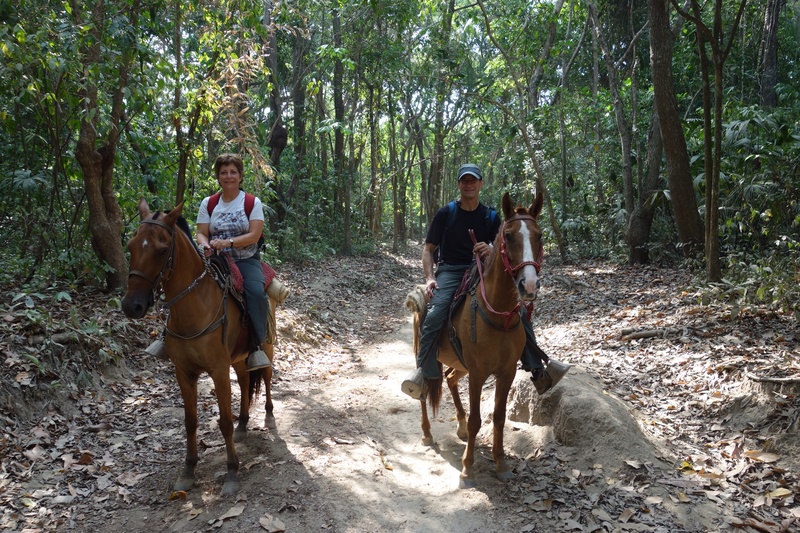 The return hike was relatively flat as it followed the shoreline, however, Cindy’s knees took a beating on the mountains so after a few kilometers we took advantage to rest when we came across some locals with horses for rent. It was a ‘bail-out’ option one usually doesn’t encounter. Sometimes it’s amazing what you get when arranging b&b accommodations. We booked 4 nights (private room with bath) right on the beach and a 15 minute walk to the old city. We met a few other guests upon arrival and since the owner had a couple of other properties he rents out, he decided to put us in one of them. It meant doubling the walking time to the old city but it turned out to be a major upgrade. 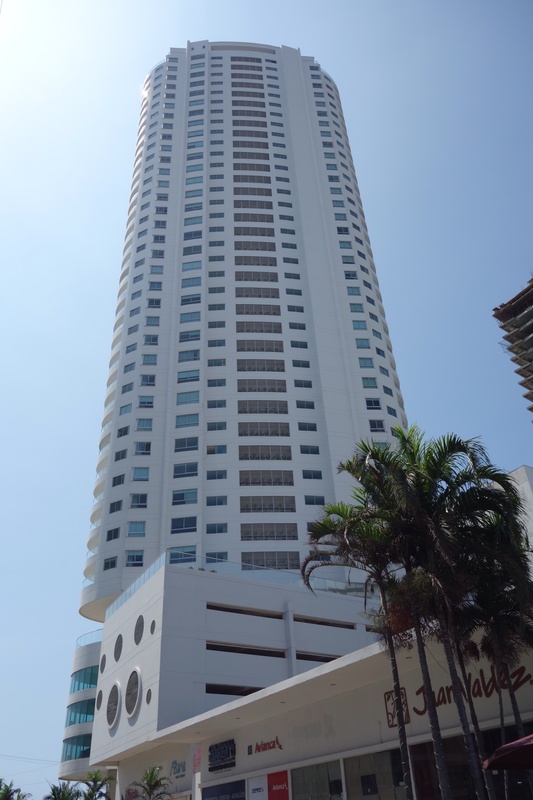 We landed in a 5-bedroom apartment all to ourselves on the 34th floor of a high-rise apartment right on the beach. I’d read that Cartagena had numerous touts but was surprised as to the extent. They were everywhere we went, selling hats, jewelry, purses, drinks, food, watches…even little ‘animals’ made from palm leaves. It was unusual to find them persistent in their approach but the volume was intrusive. 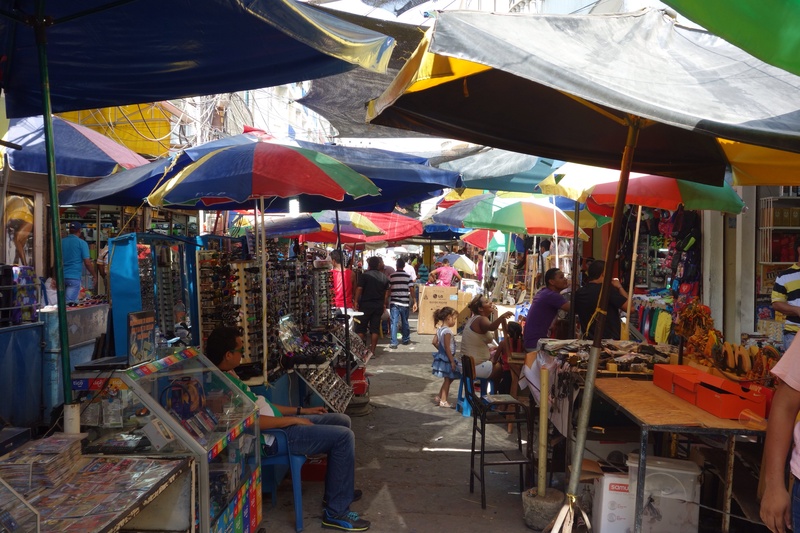 It was a constant reminder that we are still tourists and I pined a bit for the every day local living of Medellin. The touts were at it again. Oh wait, that was a guide with a tourist in the Museum of the Inquisition. Sitting in an outdoor restaurant in the old city did not provide relief as the owners saw no need or interest in shooing them away. I took this to be a social contract of sorts. We’d seen a variation of this on almost every local bus ride we’d taken, Medellin included. Someone, usually a vendor of candy, gum, pens, or snacks, would come on to the bus and go into a sales pitch. During the pitch, they would hand out a piece of whatever they were selling to anyone who’d accept the item. Most people would take and hold whatever was being sold. By the end of their sales pitch they would go back through the bus to either re-collect the item or take money for the sale. Bus drivers never turned anyone away and I think I’d seen one or two being tipped by the vendors. There were also singers (acapella or with amplified, pre-recorded accompaniment), guitarists, and rappers who would board the bus for a song or two and then leave with anything anyone would give them. 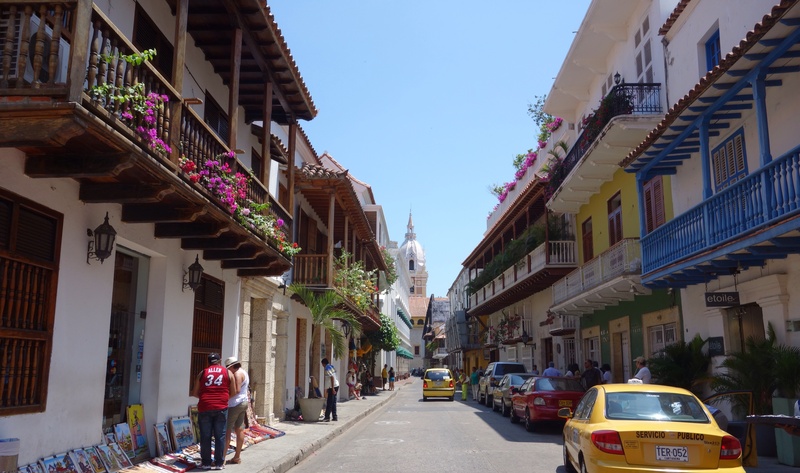 Although Santa Marta was the first established settlement, Cartagena soon dominated as a full-blown colonial city due to its protected harbor. 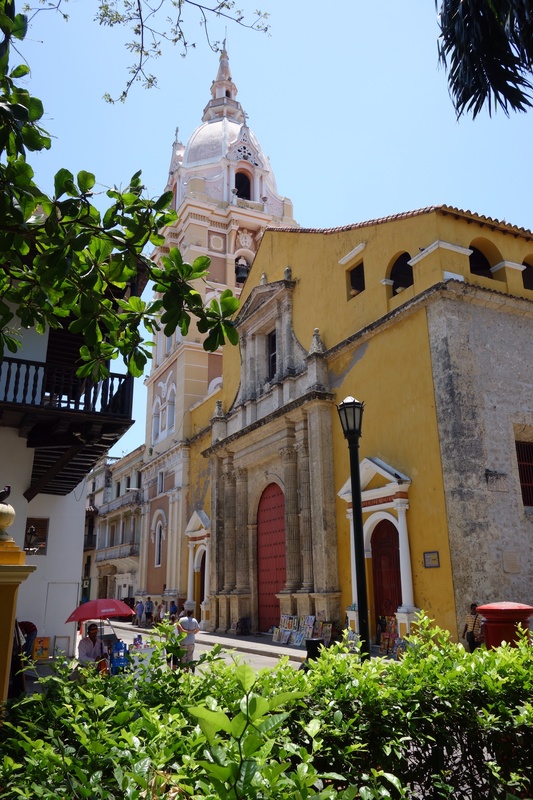 We visited two areas, the old city and the neighborhood where we stayed called Bocagrande. The old city was beautiful; a wonderfully preserved colonial town with outstanding 16th and 17th century fortifications. 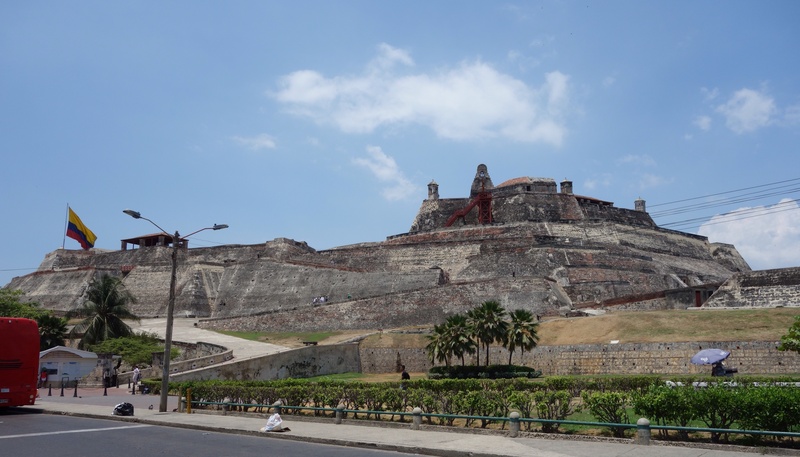 One of the most impressive and well-preserved fortifications sits on a hill just outside the confines of the old city called Castillo San Felipe de Barajas. The guns command a view of the whole area and bay, and the fortress contains a complex maze of underground tunnels. Of course, we also took advantage of the fine white sand beaches and warm tropical waters. We flew south to our last stop in Colombia only a few kilometers from the border with Ecuador. 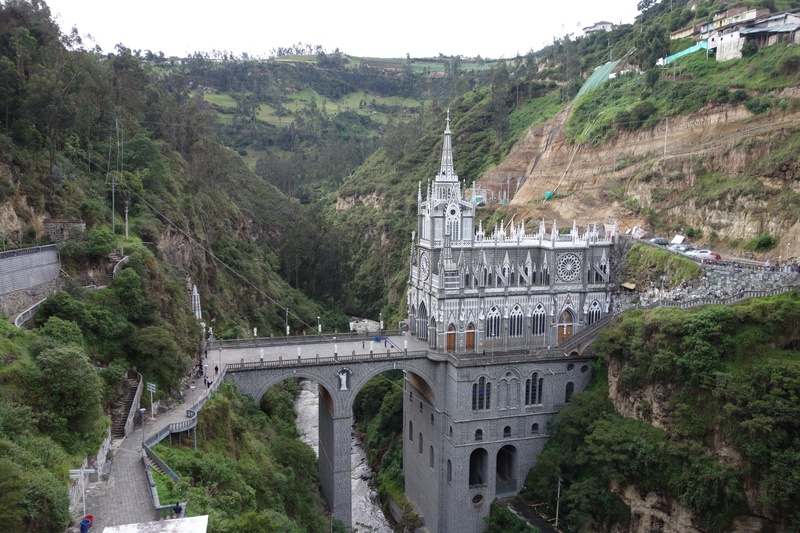 There is a huge basilica church called Las Lajas which rises 330 feet from the bottom of a spectacular gorge and is connected to the other side of the canyon by a bridge. When you guys are ready to head back up north you’re welcome to stop here in Clearwater. I’ve got a Sea Doo for riding, The beaches are beautiful, the food is good, you speak the language, and I have a spare room all for you. I’ll throw in breakfasts. Thanks for the invite! We’ll have to take a rain-check, though, since we already booked our flights home. Thanks for the memories. 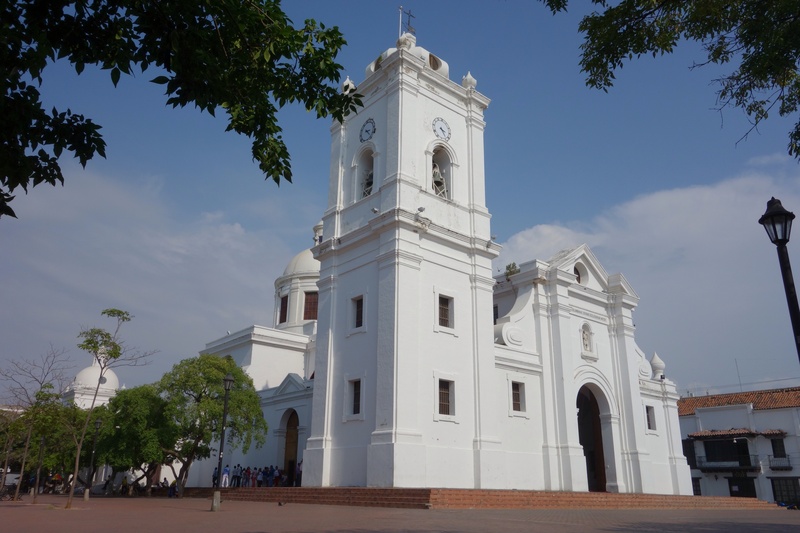 I was in Santa Marta and Cartagena 35 years ago. Just beautiful, In fact I will be meeting my dear friend Belinda from Barranquilla, Colombia in Quebec City in a month. I will share your delights! Our original plan was to be in Barranquilla for Carnival but the timing was off. I wonder what Santa Marta and Cartagena were like 35 years ago.